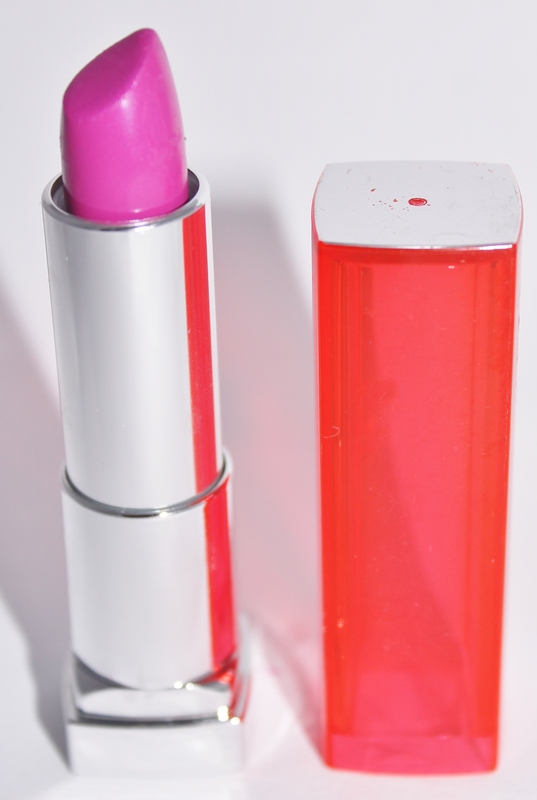 This Friday, September 26th is Bright Pink lipstick day. Join in and wear bright pink lipstick for the cause! Bright Pink Lipstick is an annual event (now in it’s 3rd year) in partnership with Pink Hope that aims to not only raise awareness about Breast and Ovarian cancers (and funds), but also to encourage women to be proactive about their breast and ovarian health, by starting a conversation about their hereditary health. I support a lot of causes, but charities to do with Breast cancer hold a personal meaning to me, as my late grandmother battled breast cancer. It is important to discuss any hereditary health issues with your family. You shouldn’t have to face it alone and you can take the first step in looking into your family’s hereditary health, so you can determine your own level of cancer risk. This year’s official Bright Pink Lipstick is a collaboration with Pink Hope and Australian supermodel Jessica Hart. It is an exclusive lipstick for Bright Pink Lipstick Day through Jessica’s newly launched brand LUMA by Jess Hart cosmetics. 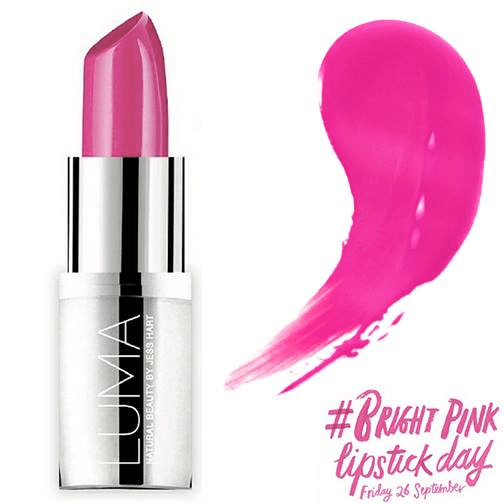 The LUMA by Jess Hart cosmetics lipstick can be purchased from Priceline stores (for $19.95) or online from the Pink Hope shop. If you aren’t able to purchase your official Bright Pink Lipstick or if you’re worried that it won’t arrive for Friday, you could just wear a favourite bright pink lipstick that you already own. You can also donate to the cause online or by texting PROMISE to 0477 56 PINK (to make a $10 donation). Look Good…Feel Better’s Dream Week- Get involved! Tomorrow kicks off Look Good…Feel Better’s annual dream week campaign. 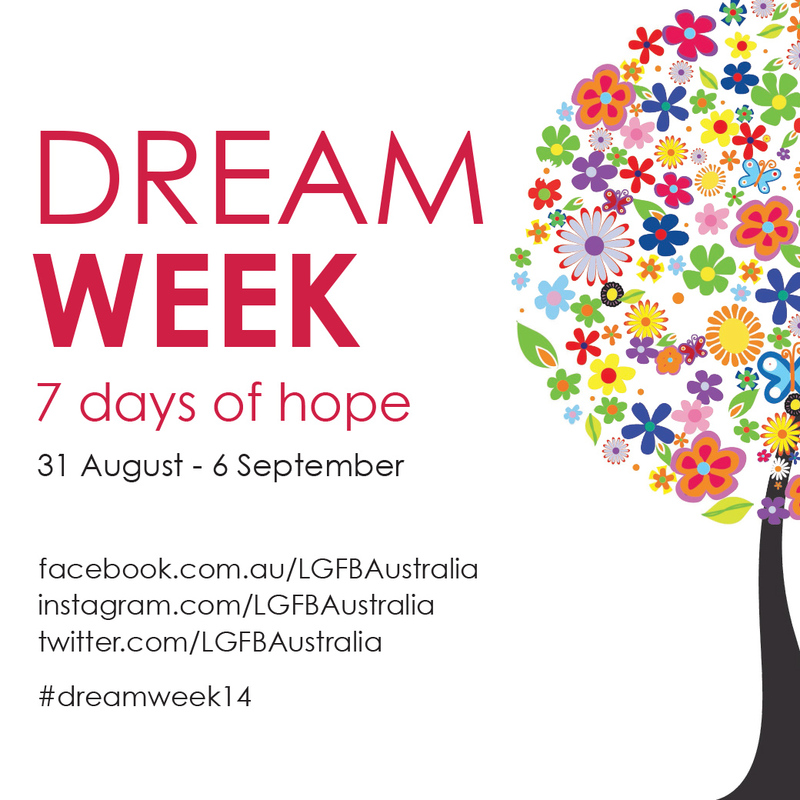 Dream week: 7 days of hope is a national campaign raising awareness and much needed funds for the Look Good…Feel Better program. The program receives no government funding, so it relies heavily on support and generosity of the beauty industry and general public. What is the Look Good…Feel Better program? During Dream week $1 from every lipstick or lip gloss sold at David Jones and Myer stores nationwide will be donated to Look Good…Feel Better, so go ahead and treat yourself to a new lippie, it is for a good cause after all! I hope you will join me in supporting LGFB by participating in the 7 Days of Lipstick Challenge. I will also be donating to the campaign.